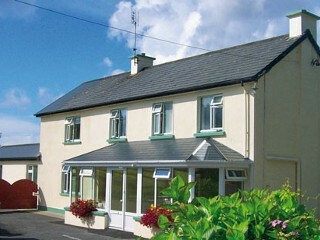 A modern home in idyllic County Cork, Island View House is the ideal base for touring the region’s renowned scenery. Nestled 500m from Glengarriff village, its peaceful location makes it a private hideaway. Adjacent to Glengarriff Nature Reserve and close to great golf, hill walking and fishing spots, visitors will be awed by the area’s beauty. Visitors can also explore Garinish Island, an island garden that boasts exceptional plants, many of which are rare in the Irish climate. Ferries to the island depart from Glengarriff Pier. Host Imelda Lyne offers extensive local knowledge and advises guests on the area’s attractions.